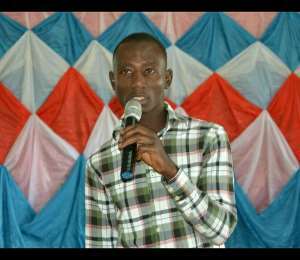 A student activist from the Mamong- Ashanti campus of the University of Education Winneba has commended the legislator for the North Dayi constituency for saving the precious life of a constituent . I am however impressed by the step taken by the legislator for North Dayi constituency , Hon. Joycelyn Tetteh for going beyond the responsibility of making laws that govern the people and saving the precious life of a female constituent from the hands of chronic Osteomyelitis( an infection that affects the bone and may spread through the bloodstream into the bone , or an open fracture or surgery may expose the bone to infection). She stated clearly that an amount of ten thousand Ghana cedis (10, 000) has been spent on drugs and other medical bills for the past two months . Indeed, she has risen beyond her roles and urges , having proved herself as not only as an active political figure but also a philanthropist and a life changer . Many legislators across the length and breadth of the county do not take much delight in investing into the health well-being of their constituents but rather take much delight in diverting from this loving kindness and investing into projects of less sustainability which ends up yielding lesser than expected . I urge other Members of Parliament, most especially the female legislators to emulate her leadership style of directly imparting lives which goes a long way to make society a better place for living since leadership I believe is dynamic . I urge the honourable member to do more if necessary , to continue her legacy.